In starting a beauty blog, one of my intentions was to educate the women of Kenya about make-up products the best way I know how. I usually see make-up artists talking about things and giving you advice assuming you know what they’re talking about. What they(myself sometimes) don’t realise is that many women are not so knowledgeable in make-up as much as we thought. Here’s me starting from the basics. Today let’s talk foundation. So there’s this thing called foundation. But what is it? Before my make-up journey, I was clueless as a chimp on the driver’s seat. But I learnt the ways of foundation. Here I am. Some years later. Not clueless any more. Let’s delve in, shall we? Foundation is often shunned in Kenya. It is often equated to wearing a mask or connotes that one is shallow. Well, I’m here to tell you that foundation is not a bad thing. The more you know about it, the more you will appreciate its awesomeness. As the name suggest, these come in solid stick form. Easy to apply and goes on smoothly. Best for normal to dry skin because they go on waxy and thick thus may be a problem for oily, acne-prone skin. These have a creamy consistency when you touch them. They often give a dewy finish and best suit normal to dry skin. This is the most common foundation formula.While it smoothes, it is hydrating for dry skin. There are mattifying,oil-free liquid foundations for my people with oily skin. The wonderful thing about these is that it is a cross between powder and creamy liquid foundation. It gives a semi-matte finish on the face.Most come in compact form which is great for portability. They say that this is not too good for oily skin because it can be a bit greasy. But I have used Black Opal and as a person with oily skin, I have loved it! It is literally a foundation that comes in powder form. This formula is heaven if you have oily skin. It mattifies your face while covering the flaws.powder foundations come in loose or pressed versions. Foundation has a degree of coverage depending on how much of your blemishes you want to cover and how much of the skin you want showing through the foundation. Foundations with sheer coverage cover imperfections minimally. It is ideal for those with little to no discolouration. If you already have good skin, this type of foundation is for you. Also, if you’re going for the ‘natural’ (illusion of not wearing make-up) look, this is for you. You can add more layers to build up the coverage to medium coverage. A medium -coverage foundation typically covers a bit more than a sheer coverage one. It will even out your skin tone but you may still see some blemishes like acne scars through the foundation. Most medium-coverage foundations are buildable to provide full-coverage. This foundation is bullet-proof. With just one layer, you will not see any imperfections. Grab one of these if you have major flaws to cover or if you’re after that really made-up look. Get aLl the make-up knowledge you ever wanted. Subscribe to our mailing list. Hey Winnie, thanks for the advice! Have any idea where I can buy full coverage Black Opal foundation in Nairobi at a price under 1K? You're welcome! It's not possible to get Black Opal full coverage foundation under 1k unless it's counterfeit or during a sale. But you can try Our Price, Beauty Options, Beauty Wholesale and Lintons for original Black Opal. There are many knockoffs out there. Enter your comment here...Hey winnie,jst love ur insight on make up.I'm the press powder kind of a girl bt i've not been lucky enough to find the right press powder for me,i would like to try black opal powder that hidea my flaws and lasts longer,plz help.And wld u plz explain to me more abt pressed powder and the othe form of powder and which one do u use a make up.brush to apply. hello, my face is oily and i have acne. 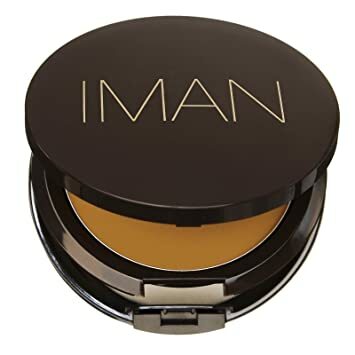 which is the best powder foundation i can use.